When it comes to Makeup and Beauty things can go from “fine” to “disaster” in only a few seconds. We all had one of those moments when nothing seems to look right, when our makeup is cakey or we just stained our favorite dress. Well, luckily for us there are some small tricks that can help us when we are in trouble. Check them out! Fix your broken nail. You want to go somewhere and your nail just got destroyed? Well, you can make it look just fine in only a few seconds. All you need is a piece from a tea bag, some glue, and a nail file. Cut a small piece from the bag (big enough to cover the crack in your nail) and glue it to your nail. When the glue is completely dry, file your nail until the tea bag is barely visible. Put a base coat, a nail polish and you’re done! Get a matte lipstick instantly! We all have that one lipstick that would look great without all the sparkles. Since you don’t want to throw it, you might as well transform it into a matte one. It will look more delicate, more simple and you will have a unique color! 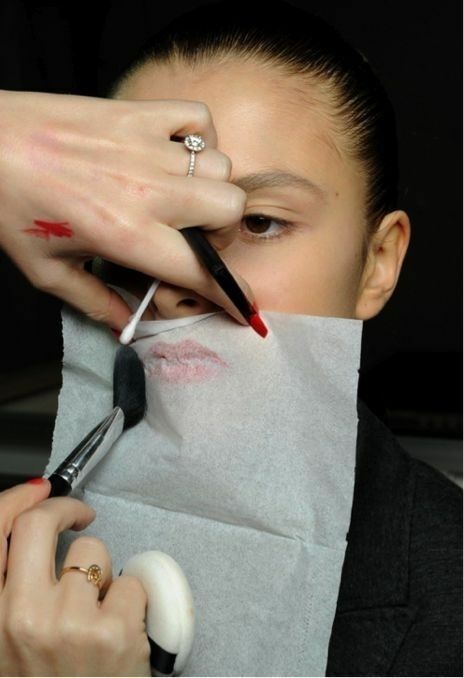 After you put your lipstick, put a piece of baking paper on your lips (yes, seriously). With a normal brush simply press on the lips for a few seconds. When you remove the paper you will notice that your lips just got matte; apply a fixing spray to make sure it lasts all day! Instant curls. When you are in a rush and you don’t have time to arrange your hair, you can use this awesome trick. Instead of curling every piece of hair, you can get the hairstyle that you want in only a few minutes. 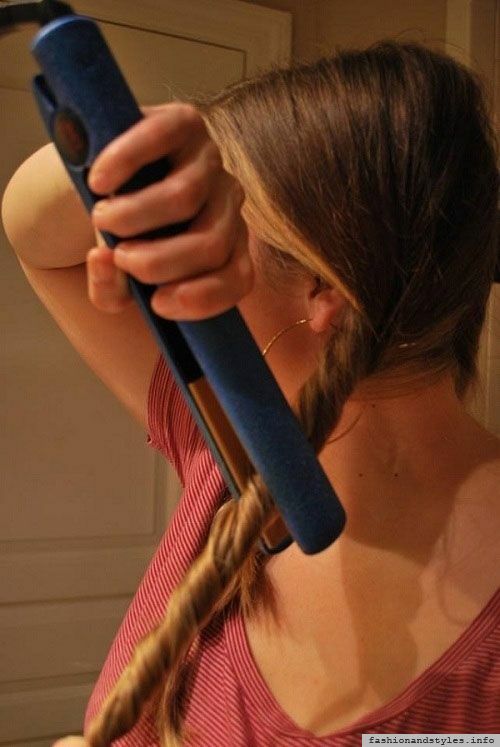 Divide your hair in 4 twisted ponytails and use your flat iron to “heat” them. When you release your hair, you will be amazed! Use Vaseline! For what? Oh, for almost anything! This is that kind of “wonder” product that we all need. It’s enough to put a tiny bit on your hair to stop the frizz and make it shine. If you are out of lip balm, Vaseline will do just fine. Do you want to get the dewy look? Apply some Vaseline on your cheeks. Your cuticles are annoying you? Massage them with Vaseline for a few minutes and you will be able to remove them instantly. I could go on forever with all the benefits, but I’ll let you discover the rest!